I’m getting real close to (or as we Okies say, I’m fixin’ to) moving the Range Rover into the garage for her latest restoration project. 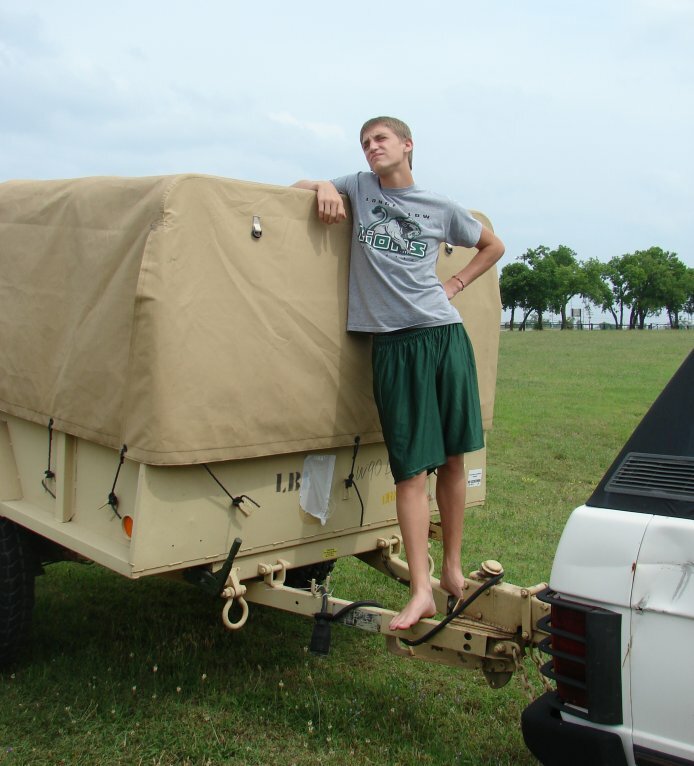 The infamous Range Rover Restoration, Part Duex: RovErica’s Revenge. I say I’m “fixin’ to” start the project because I am determined not to use my wife’s side of the garage to store the crap valuable items on my side of the garage. Currently I have a full size box spring for a bed, a giant rocking chair, a box or two of miscellaneous glassware, a book shelf, all my reenacting gear (in stackable tubs), and several other loose items on my side of the garage. There is no room for a restoration project. Should I have a garage sale? Probably. Do I hate to have garage sales? Definitely. I am waiting for the garage sale because I know when we start working on my mom’s house there will be tons of stuff to sell at a garage sale. Why have a little garage sale when a bigger one will be better? So I will get the kids to help move the reenacting stuff up to the attic where it was before I used it back in April. I will reorganize the other items and reduce their floor space foot print. Once that is done, I can move the Range Rover in and get started. Get started? What are you going to do OkieRover? That is a great question oh gracious and loyal reader. Let us begin by describing first why anything has to be done at all. Maintenance, that’s why. When you allow a sixteen year old to drive a 15 year old vehicle of British manufacture, things magically stop working. I know that is hard to believe with kids as great as mine but it is “a true fact” as Diet Mountain Drew would say. That’s about it. If I were to take this bad boy down to a mechanic I’m pretty sure the labor alone for all this could buy a pretty nice used late model LR3 or Range Rover. That leads us to the obvious question, why fix it? Well, you didn’t read this far down this blog post to ask that question, you know why. Because I, like you, love your Range Rover and can’t imagine not having it sitting in the driveway waiting for me to jump in and tear off down the road. I hope to have all this fixed in time for the inevitable Snowpocalypses of 2010 and 2011. And with my new utility trailer I hope to make a few camping trips with my wife next year. The good news for my readers is the fourteen new entries to the Tech Tips Section of www.OkieRover.com these projects will create. All this and I’ve been thinking about reviving the local Land Rover Owners club for the OKC metro area. So look for more info on that in the coming months. I have a photographer and former Land Rover driver (RovErica), anyone know a good web programmer that works cheap? 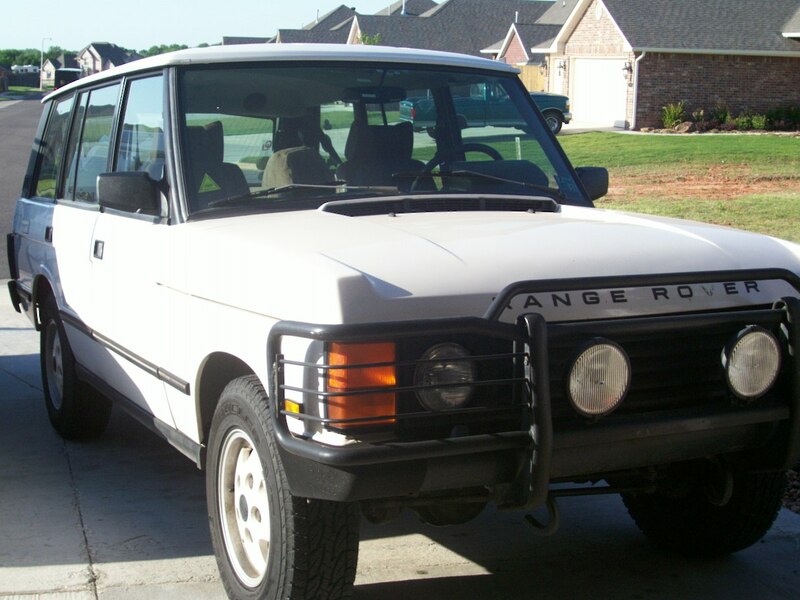 This entry was posted in Diet Mountain Drew, Range Rover Classic, restoration, RovErica. Bookmark the permalink. Thanks for the compliment. Your link is incorrectly typed and will not resolve to the site offering Land Rover Mechanic Services in Australia. I’ve been on that site before. Hi, what a great web blog. I usually spend hours on the net reading blogs on regarding Techno British And, I really would like to praise you for writing such a fabulous article. I honestly believe there is a skill to writing articles that only very few posses and yes, you got it. This is really informative and I will for sure refer my friends the same. Thanks.